Tools are not required for assembly, but can greatly help with the process. 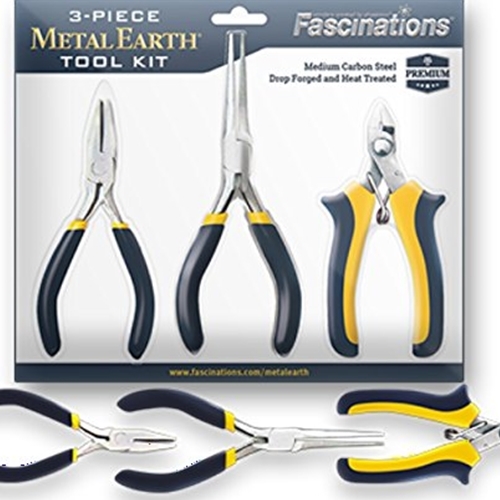 This tool kit includes a clipper, flat nose pliers, and needle nose pliers, and are ideally suited for building Metal Earth models. These premium tools are drop-forged and heat-treated carbon steel, for the ultimate in long life quality.